In their record-breaking lifetime of service, the Queen and Duke of Edinburgh will no doubt have lost count of the toasts raised to their achievements, health and happiness. Surely none, though, will mean more than seeing their children, grandchildren and closest friends raise a glass to them on Monday evening, in celebration of 70 years of the most successful marriage in British Royal history. The Queen and Duke will mark their platinum wedding anniversary on November 20, in a milestone no other monarch has achieved and will likely never surpass. The date will see them join a select group of devoted spouses to reach the landmark anniversary, with the Queen helping just 1,260 other couples celebrate a 70th wedding anniversary with a personal card from Buckingham Palace so far this year. It is another landmark for Her Majesty, who has already become the longest-reigning monarch in UK history at 65 years, and the longest-lived at 91. The Duke, who retired from official duties in the Autumn but has since made regular appearances in public, because the longest-serving consort in 2009. 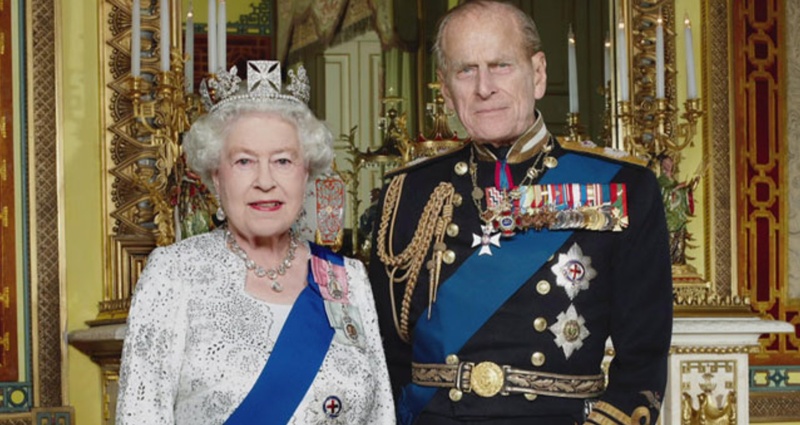 They are already comfortably the longest-wed Royal couple, surpassing George III and Queen Charlotte by 13 years. The Queen, who once said “a long life can pass many milestones: my own is no exception”, is understood to have been keen to mark the wedding anniversary privately, eschewing lavish public celebrations and speeches. Instead, she and the Duke will welcome their family and friends to Windsor Castle on Monday evening for a dinner party, with messages of congratulation passed in person rather than in front of the crowds. The State Apartments, usually open to the public, have been closed for the day, allowing staff to polish the silverware and lay the tables for suitable celebration, with senior members of the Royal Family keeping their diaries free to attend. The guestlist will include the Prince of Wales, who will make the journey to Windsor soon after landing from a trip to Caribbean islands left devastated by hurricane on Monday morning, the Duchess of Cornwall, the Duke and Duchess of Cambridge and Prince Harry. Each of the Queen and Duke’s other children and their spouses are expected to attend, along with grandchildren and great-grandchildren old enough to stay up for the evening. The evening will mark 20 years since the Queen’s most famous public tribute to her husband, in a speech for their 50th anniversary in which she called him “quite simply…my strength and stay all these years”. From 1pm on Monday, the bells of Westminster Abbey will ring to mark the anniversary.